Idom, the leading multi-disciplinary engineering consultancy, said it has been shortlisted in the Institution of Civil Engineers (ICE) Bahrain Project of the Year Awards, for its proposal to fulfil the kingdom’s long-term goal of delivering a reliable public transport system. The ICE is the leading professional engineering association, which helps channel engineering expertise into solving some of the world’s most pressing problems ranging from population pressures and growing urbanisation, to climate change, energy and water shortages, natural and human disasters. Bahrain’s transport infrastructure is one of the key pillars of the country’s investment plan to improve infrastructure, create jobs and enhance the region’s economic and commercial competitiveness. The new transport network is designed to reduce car reliance, traffic congestion and air pollution within the city, making it a more sustainable location in which to live and work. With this, Bahrain will join other GCC countries in building a metro, following the footsteps of Dubai and Saudi Arabia. According to experts, Bahrain faces significant challenges with traffic congestion – with a limited bus-based public transport network and a rapidly growing urban population. Currently there are 3.8 million trips daily across the city by all modes of transport; by 2055 this figure is expected to exceed 9 million, they pointed out. The city is in absolute need of a sustainable public transport solution, boosting connectivity across the city and allowing free movement of people for business, commerce and leisure, they added. “Idom’s team of engineers has extensively researched population movement, travel habits and key transit corridors and devised a solution to meet the city’s economic, environmental and social objectives, by developing Bahrain’s first mass urban transit network,” he noted. At the core of this system will be a metro-based solution integrated with a comprehensive bus transit system, he added. “The delivery of this project is important to the development of Bahrain and its economic future,” remarked Sinclair. 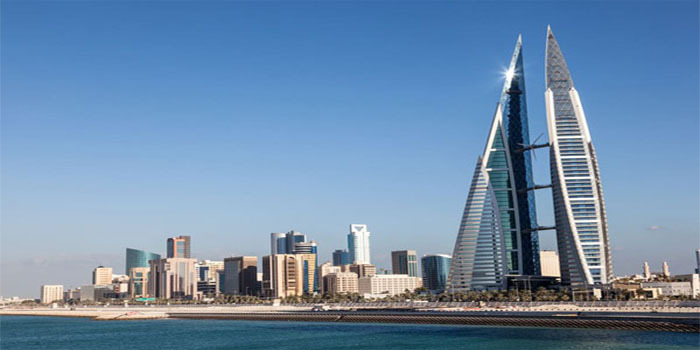 “From an engineering perspective this project is a complex one as it entails designing an elevated metro system through an existing built-up city in which there are already competing demands on space – but it is completely achievable with the will and participation of all stakeholders, and the end result will transform the way of life for the population of Bahrain,” he noted. “To ensure that this project is a success, our team has worked closely with stakeholders to make certain that we are capturing all the data necessary to help build a complete picture; this also includes accommodating future plans for highways, housing and commercial developments,” stated Sinclair. “We have a defined scope of work, which includes a specific set of deliverables, covering the study stage through to the preliminary design phase to advance this project for procurement and construction,” he added.